It’s been a while since I tested a knitting pattern for anyone. I kinda miss it – didn’t think I would, but I do. So when I received an email from dear Lindsay asking if I wanted to test knit a new shawl design, I jumped from the get-go. I was so happy that she designed a DK weight shawl because it gave me an excuse to try out one of soon-to-disappear Luxe DK yarn base. And pssst…..the sale is still on over at my Etsy shop. At first I was worried that the yarn I chose will not be suitable. In fact it looked really small as I came near the bind off. But since the yarn has silk in it, I hoped it would grow lengthwise. I didn’t use wires to block this, just teased it outwards and shaped it. 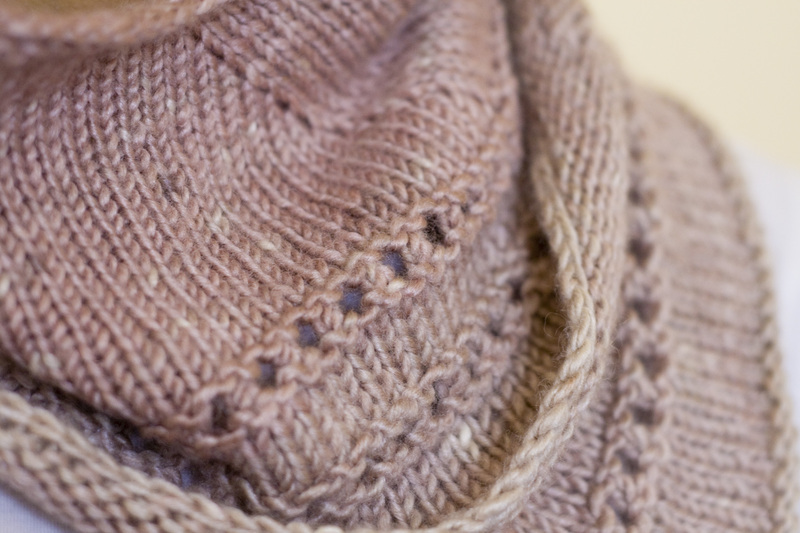 The pattern is very well written and despite the lack of stitch counts at the end of sections, it did not affect the knitting since every end of row produces an even number of stitches. Not that a stitch count table is essential to knitting shawls, esp this shawl. It’s a personal preference I think. Just be mindful that you don’t omit an increase on any row and you will be fine starting the eyelet row at any time! Blocked measurement is 8” down the centre, 50” from tip to tip. It is a tad small for my liking but I have little madams I can gift the shawl to so no worries. 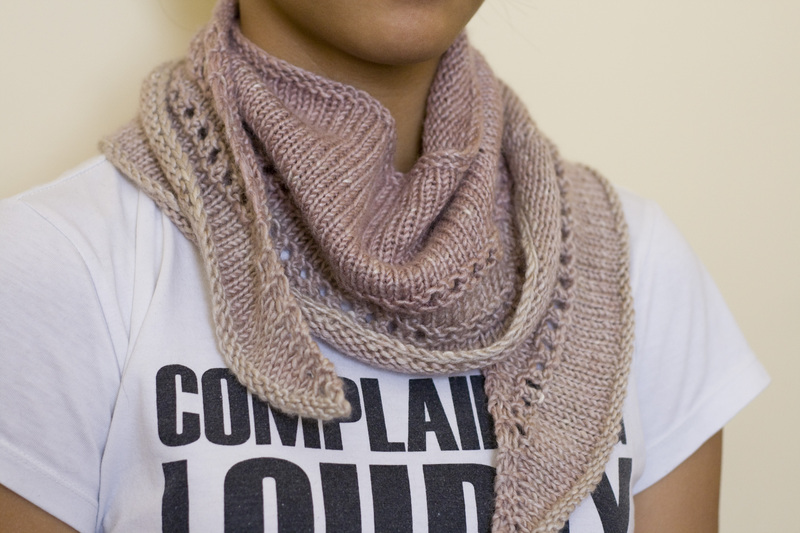 Lindsay’s design is simple, fun to knit and highly practical. Oh and did I tell you there are two edging options? I chickened out and went the easy way with a rolled edging rather than the picot. My second shawl will definitely have picot edging though! 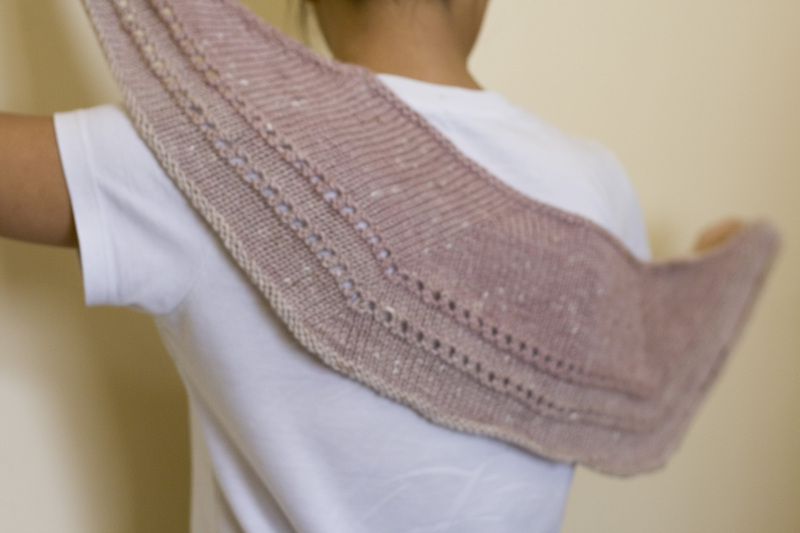 This shawl also gives you an excuse to bust out that luxury skein of DK or even sport weight yarn in your stash. Surely you have one of those? Notes: Knitted as per the pattern using the simple rolled edge. I did add a purl row on the RS before binding off to soften the roll. I want to make a second one with a 100% merino yarn and I will make it larger next time around and use up an entire skein.